Best selling thermal mug in a choice of colours! 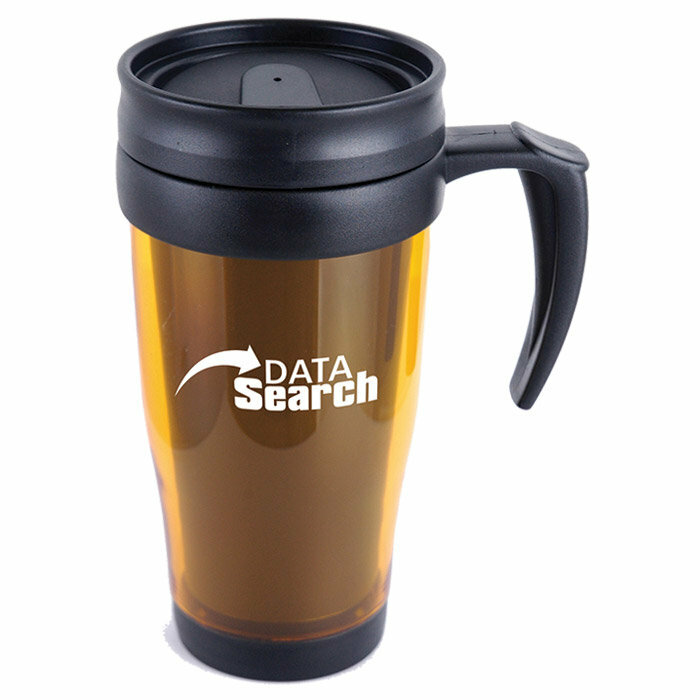 400ml plastic translucent thermal mug with handle, spill resistant lid and black sip cover. Perfect for drinking when on the go, or just sat at your desk. A fantastic year long gift which keeps cold drinks cold in the summer and hot drinks warm in the winter. 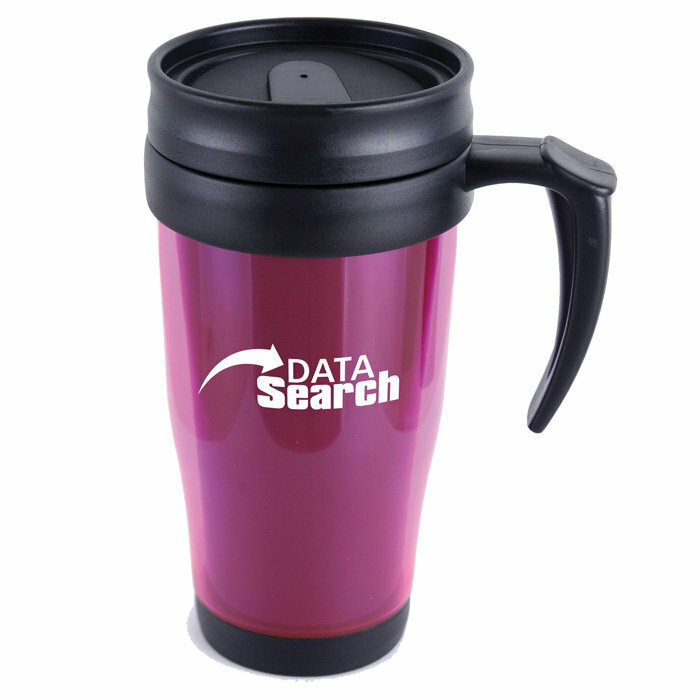 This item is also available in solid colours. For orders of 250 travel mugs or less (with a 1 colour print) we also offer an express service on this item. 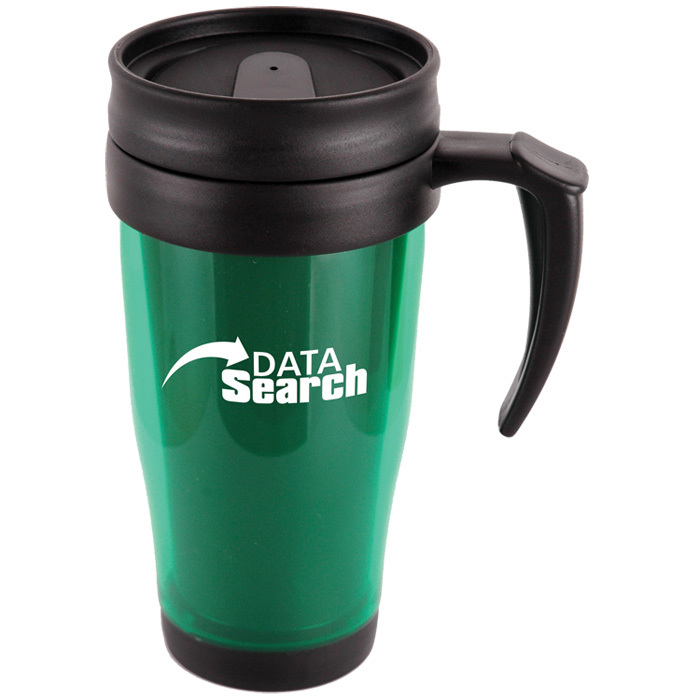 Price includes a 1 colour wraparound print to the body of the travel mug.